If you have ever felt reluctant to outsource projects to a service provider because you are worried about sharing proprietary information, you should know that Science Exchange’s mission is to help assuage those concerns. Our dedicated Legal and Engineering teams obtain all of the certifications and meet all the regulatory requirements that your businesses require. Recently, Science Exchange was granted SOC 2 certification (Service Organization Control 2, Type 2), a strenuous test and report on the effectiveness of a service organization’s controls. This meant that external auditors reviewed many of the critical processes in our business to make sure our systems complied with five key principles. Security: Access to our system requires authorization. Availability: Our system operates as we have committed. Processing integrity: Processing occurs completely, on time, accurately, and when authorized. Confidentiality: Information designated as “confidential” is specifically protected. You can read more details on these principles and their implementation on the official SOC 2 page. What does SOC 2 certification mean for Science Exchange users? Any information shared through the Science Exchange website or via email to a scienceexchange.com address is kept completely confidential. 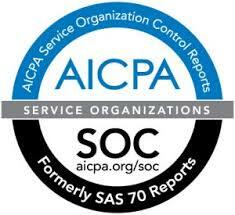 Of course, SOC 2 Type 2 certification is an ongoing process. We will be audited again and again to make sure that your contractual agreements executed with Science Exchange, as well as any revisions to it, remain confidential. We will periodically test our systems for vulnerability and unauthorized access, and we will regularly back up data, keeping backup logs readily available. These are just a few examples of the tireless work we do to minimize the risk inherent in outsourced R&D, helping you advance their research faster. Visit and bookmark our Compliance page to stay abreast of Science Exchange’s ongoing commitment to your security.